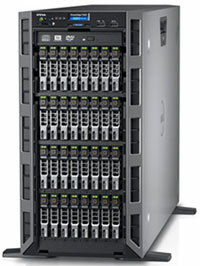 NJ Server Management Services: Servers are critical to business function and business productivity. Business efficiency revolves around server performance and uptime, that’s why we pride ourselves in making sure that our client’s servers are always operating @ 100%. Our Level II and III admins are Microsoft certified professionals who have extensive experience troubleshooting Dell, HP, IBM, and Lenovo servers. ICS allows your company to maintain secure access to your data and stay productive at all times. Let us support and manage your servers so you can manage your business.